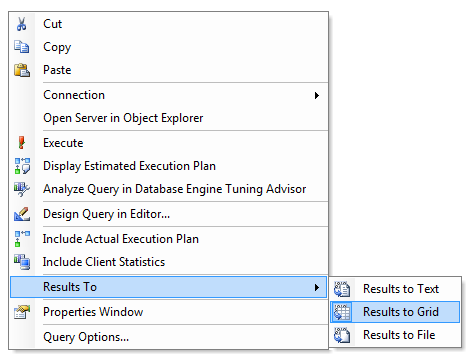 When working in Query Editor of the SQL Server Management Studio, you can choose how to display the query results. There are 3 different ways to choose from and each of them has its advantage. You can choose/ switch the display format from the standard toolbar of the Management Studio by selecting the required format icon. The 3 icons to choose from are highlighted in the image below. 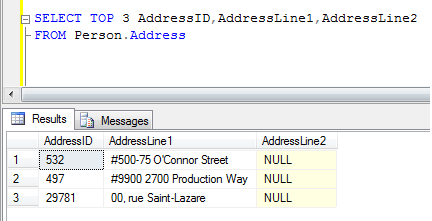 By default, query results are displayed in Grid format. Choosing this display format is in a way more convenient than other formats since the result-set displayed is tabular format which is easy to understand, the columns can be re-sized in order to fit the screen and more importantly the entire result-set or part of it can be copy pasted to an excel sheet for more analysis or ad-hoc reporting purpose. A sample image is displayed below. To switch from other format to Grid format press Ctrl + D.
To make the results displayed in text format press Ctrl + T. Switching from one result format to other format will be effective from the next time query is executed. The below image shows the results in a text format, the downside of this format is the columns in the result-set are displayed according to their actual column width and causing a wider display of the results than desired and the columns cannot be re-sized. To switch from other format to Grid format press Ctrl + Shift + F.
This way of having the result-set might not be a desired option for immediate viewing of the results, but this can be used when the output needs to be saved in a text format for future reference or to attach the result-set as an email attachment. 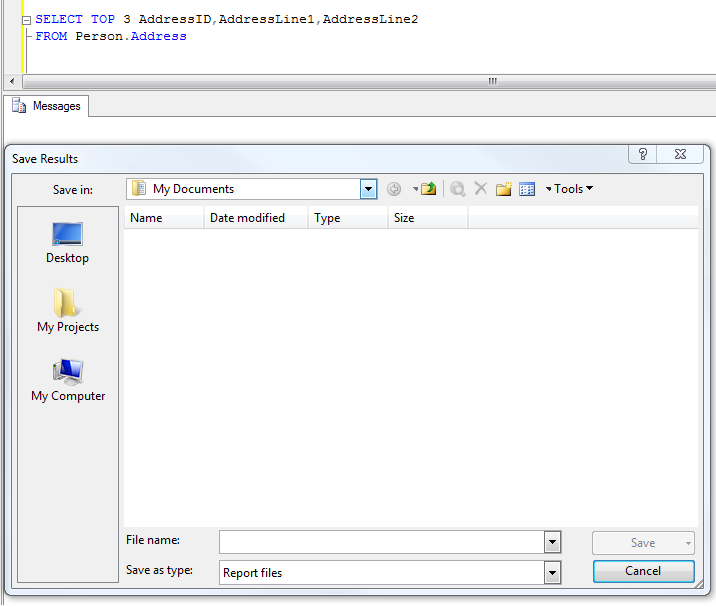 When the query is executed, a dialog box is opened in order to choose the location of the file to be created. By default the files are report file with “.rpt” extension, you can choose a different extension also. There is another way to switching / selecting the results format. Right click in the query editor, from the pop up menu, go to Results To and choose the desired format as shown in the image below.